Buckler's Hard visitors are invited to join celebrations at Buckler's Hard Yacht Harbour on 1st & 2nd April 2017 as they mark the opening of a new chandlery. The open weekend, which will take place on 1st - 2nd April 2017, is being held to celebrate the official opening of a new chandlery at Buckler's Hard Yacht Harbour. The new chandlery, which will be operated by family-owned BHG Service, will be officially opened by Lord Montagu at 11am on Friday 31st March. Visitors will be invited to join tours on board Gipsy Moth IV, which made history 50 years ago when Sir Francis Chichester became the first sailor to single-handedly circumnavigate the globe. At the open weekend, see rescue boats from the RNLI and Hampshire Marine Police. The RNLI will also offer free lifejacket servicing, HM Coastguard will be available to answer safety questions and Ocean Safety of Southampton will collect and dispose of out-of-date flares which are handed in at the event when purchasing replacements. A BBQ and refreshments will be served from noon to 3pm on both days. BHG Service is part of the award-winning BHG Marine group, which this year marks its 70th anniversary and offers three generations of experience from its new chandlery, a workshop at Buckler’s Hard and showroom at Lymington. The new chandlery for Beaulieu River mooring holders and visitors will be open seven days a week selling a good range of rope, hardware, Calor and Camping Gas, provisions, outboards, dinghies and canoes. For engineering services for all inboard and outboard powered craft, electronics, anti fouling and GRP repairs, call BHG Service on 01590 616479 or email info@bhgservice.co.uk. Other Beaulieu River Boat Yard services, which are offered all year round, include a 35 tonne hoist for vessels up to 55ft, for lift out, washdown and storage. 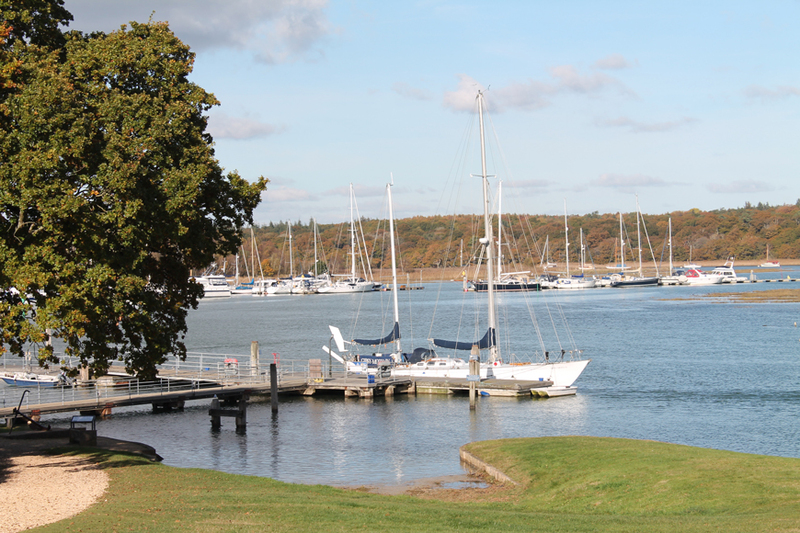 Buckler’s Hard Yacht Harbour was recently named as ‘one of the most desired locations’ on ‘one of the most picturesque rivers in the UK’ by the assessor for its top-rating 5 Gold Anchors award. Harbour Master Wendy Stowe was also praised for her management since taking over her role last year. The Beaulieu River is one of only a few privately-owned rivers in the world and has remained an unspoilt haven, which is rich in wildlife and history in the heart of the New Forest National Park. Four centuries of custodianship by the forebears of Lord Montagu has prevented riverside development and the number of moorings have been carefully controlled. The Beaulieu River is considered to be the gem of the Solent, close to the sailing centres of Cowes, Lymington and Hamble and with 115 marina berths, over 300 moorings and a boat park with slipway and range of facilities. For more information and offers see www.beaulieuriver.co.uk and follow them on Facebook and Twitter @beaulieuriver. 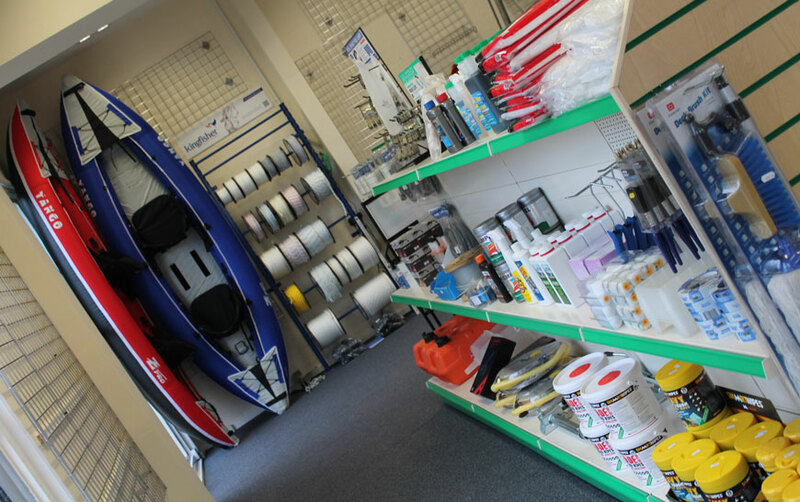 • Chandlery opening times for the open weekend will be 9am-5pm on Saturday 1st April and 10am-4pm on Sunday 2nd April.